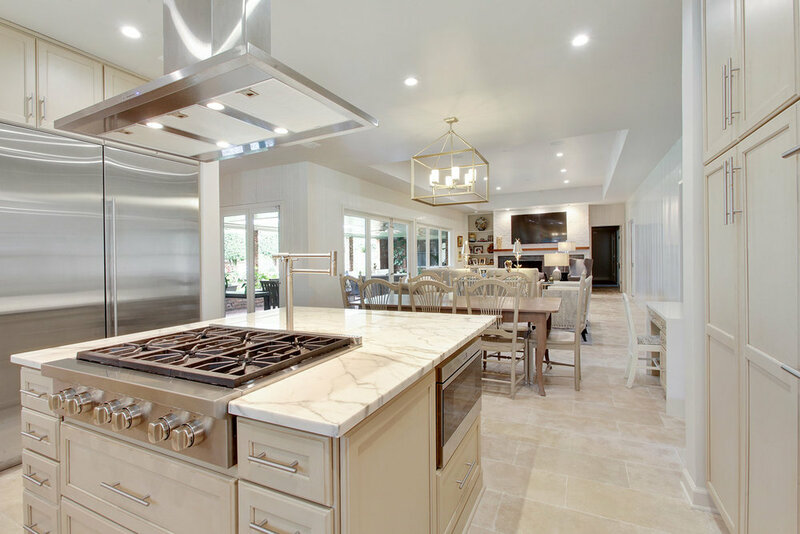 This extensive renovation included the reconfiguration of the main living quarters and the modernization of this 4000 sf home. The culture of today is more transparent than the 1940's when the original house was built. The redesign with an open floor plan allows overlap and interaction between the informal cooking, dining, working, and entertaining spaces. Efficiency is key. Understanding "Modules of Use", we can effectively maximize existing footprints to achieve what did not seem possible. 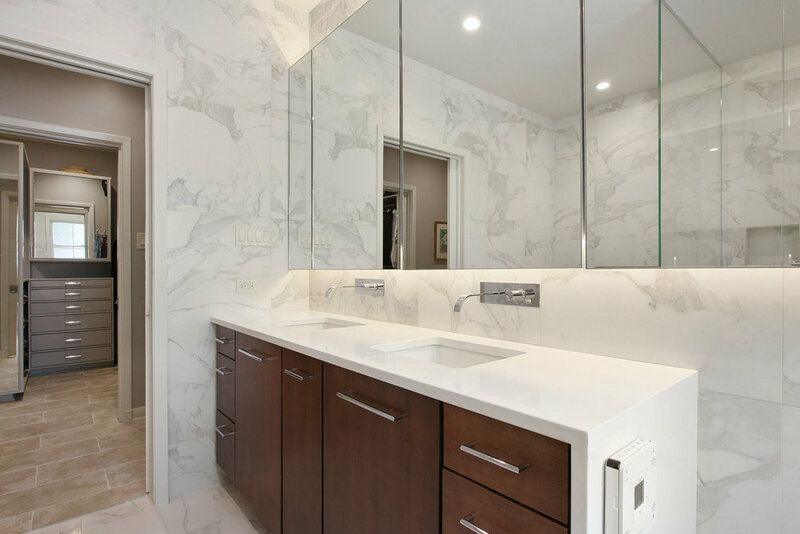 Custom medicine cabinet floats across the bathroom creating ample storage where the digitally printed porcelain is reflected.